Want to review how you are performing online and get all the improvements sorted out at the same time? Right in front of your eyes! Book in a power session with one of our highly qualified digital marketers and have your website, Google Adwords and Facebook campaigns, as well as any immediate SEO efforts, addressed right then and there in front of your eyes. Let’s review your company’s online performance by looking at your website, your advertising accounts, your Google ranking and everything else that can possibly fall into your digital marketing campaign. 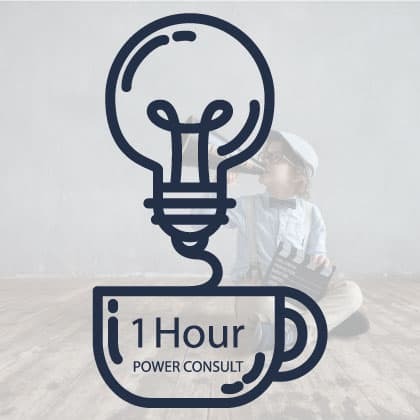 By booking your 1 Hour Power Consult you will get a minimum of 1 hour of a digital marketing consultation with one of our highly qualified marketing specialists. We sit down with you using Skype and Teamviewer to be able to discuss strategy and immediately execute that strategy for you, right in front of your eyes.